My husband told me once that the reason he never read as a child is because he was unable to stay in the same place without moving long enough to go through a whole chapter of a book. To him, reading was too passive, too uneventful. His mind would wander off within minutes and he would find himself itching to be elsewhere, doing “something”. 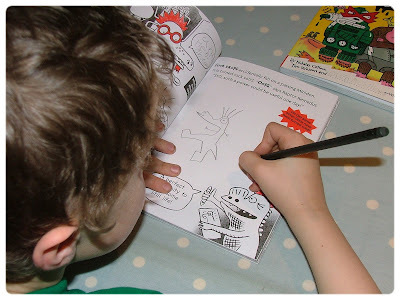 He wasn’t a struggling reader, he was just a non-reader. I guess this is a story that will be familiar to many, especially those who are parents to boys. 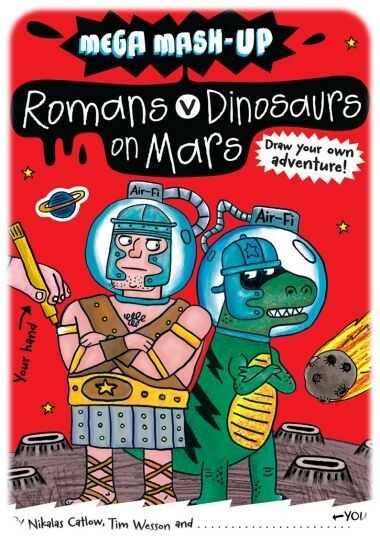 Romans and Dinosaurs live together in a huge glass dome called Romasauria on the planet Mars. But there is no love lost between the two, and rather they love to compete against each other … until their world is threatened by the imminent arrival of a huge asteroid which heading straight for Romasauria. Will they put their differences aside to try to save themselves? Robots v Gorillas in the Desert Somewhere in the desert, gorillas trade oil for bananas grown by robots. 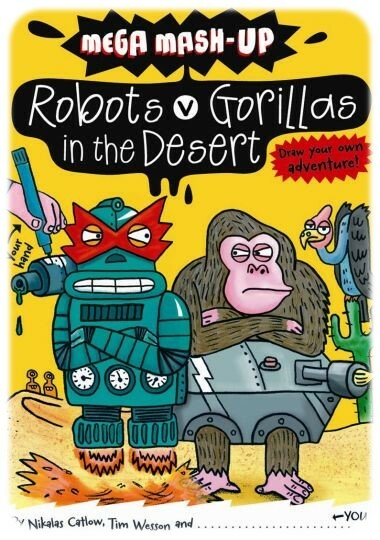 But when their two leaders meet and King Well-Hairy ends up accidently slightly electrocuted, the gorillas and robots decide on a win-or-lose-all race in the Desert of Doom. Who will win this insane race? 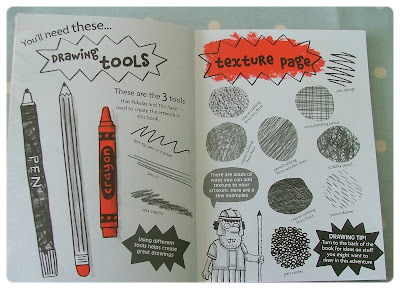 The books still have a similar format to novels with chapters, and use a very limited palette of colours in the illustrations which I think is particularly effective as it is more inviting for the reader to draw in. 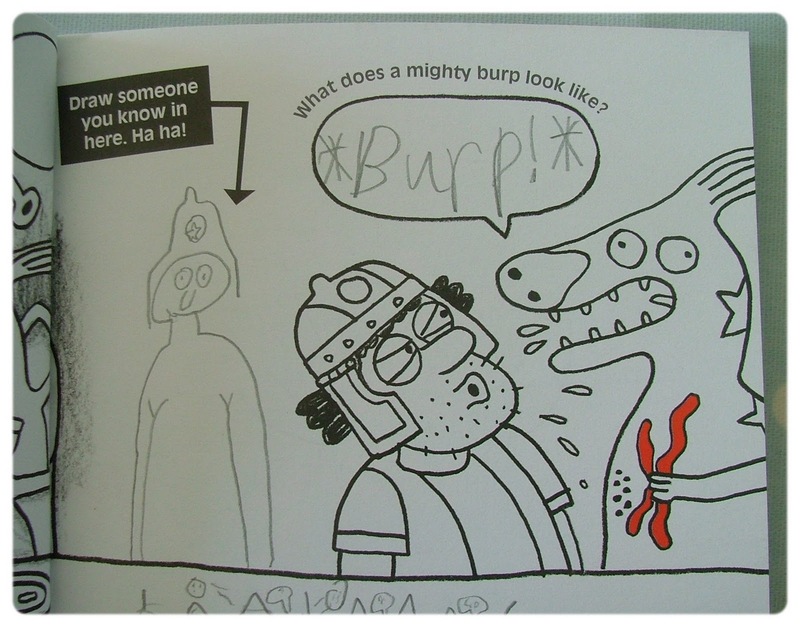 Seriously, check this out this series, whether your little readers at home are reluctant, struggling or more than willing! This is exactly the kind of books us parents need to be able to hand in to our offspring in school holidays or on a long car journey!